During the period 1880&ndash;1914, the soldiers of the great empires of Britain, France, Germany, Russia, and the United States were dressed in a rainbow of colors. Bedecked in elaborate helmets, with ornate weapons and finery, their uniforms represented centuries of regimental history and tradition, and often bore reminders of famous victories and heroic last stands.&#160;This book is&#160;the definitive study of every regimental uniform in the five empires, including those of the colonies of India, the Philippines, and North Africa. 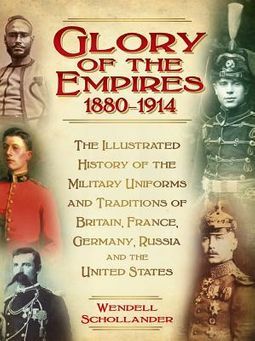 It explains the history behind sartorial peculiarities&mdash;such as why the Russian 15th Hussars wore a bright pink uniform and the Wiltshire Regiment had dents on their buttons&mdash;and reveals the lives and service experiences of the men who served.&#160;This&#160;book&#160;will be used as both a&#160;one-stop reference work&#160;and as&#160;a brief narrative history of the period.